Looking for more information about the Enneagram? Here are some websites and books you may find helpful. Please note, the MN-IEA does not endorse any single resource, but we offer this information as beginning points for exploration. The word “Enneagram” stems from two Greek words, “ennea,” which means “nine” and “gram,” which refers to “a drawing, figure, or shape.” The Enneagram is a nine-pointed figure inscribed in a circle. We can view it as a relief map that represents our inner landscape. It guides us, as we delve below the surface and explore a rich system of information about human behavior and our deepest motivations. As a system, the Enneagram conveys knowledge about nine distinct but interrelated personality styles. Each style sees and experiences the world through a different lens and moves through the world with different gifts, challenges, and opportunities for achieving growth and wholeness. International Enneagram Association – Our “parent” organization. The Enneagram in Business – Established by Ginger Lapid-Bogda, offers resources for using the Enneagram accurately and effectively in organizations. The Enneagram Institute – Founded by Russ Hudson and the late Don Riso to further research and development of the Enneagram. 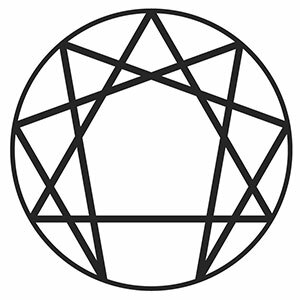 Enneagram in the Narrative Tradition – Co-founded by Helen Palmer and the late David Daniels, a not-for-profit organization dedicated to transforming lives and creating a more compassionate world through use of the Enneagram. Global Conferences – “Foundations for the Future, Celebrating 25 Years of the IEA ” is the next global conference. It will be held in Oakland, CA on July 26-28, 2019. Learn more at IEA conferences and events. The IEA has an Accreditation program for individual Enneagram teachers, Enneagram Training Programs, and Enneagram Schools. IEA Accreditation serves as a mark of excellence for Enneagram teachers, professionals, and training programs. Learn more about IEA accreditation. An online gathering place for the global Enneagram community to share ideas and articles. Visit Nine Points. Nine Lenses on the World: The Enneagram Perspective by Jerome Wagner, Ph.D. Deep Living: Transforming Your Relationship to Everything that Matters Through the Enneagram by Roxanne Howe-Murphy, Ed.D.